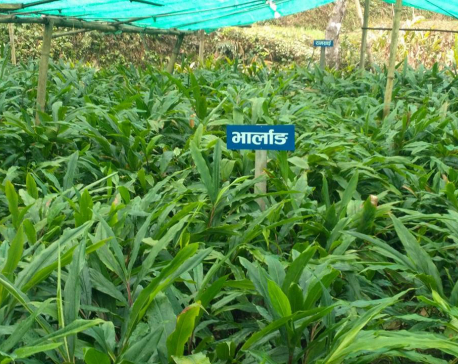 KATHMANDU, Dec 20: Paddy production is projected to reach 5.15 million tons this year. The Ministry of Agricultural Development, which had earlier projected a record high production of 5.4 million tons, has now said that paddy production this year be lower compared to last year due to impacts of Tarai floods in August. Maniratna Aryal, the information officer of MoAD, told Republica that the production is unlikely to witness a significant decline this year respite the damage created by August floods. “Based on the data that we have been collecting from our district offices, we can say that production will not go down significantly,” he added. In Fiscal Year 2016/17, paddy production stood at a record high of 5.23 million tons. Earlier on October 16, the ministry had projected that paddy production will grow to a record high of 5.4 million tons. Favorable monsoon had helped the country to grow record paddy in 2016/17. This year, however, paddy production will be at the level of FY2015/16, according to the ministry officials. 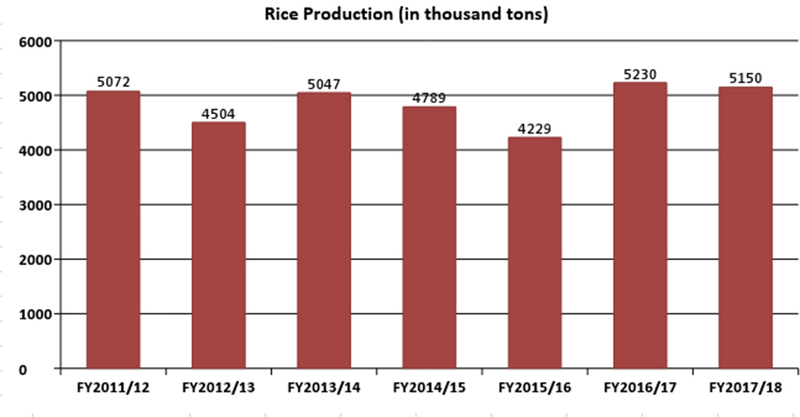 Paddy production had been declining until FY2016/16 after hitting a record high of 5.07 million tons in FY 2011/12. In FY2012/13, production of paddy fell to 4.5 million tons before rebounding to 5.04 million tons in FY2013/14. Production of paddy fell to 4.78 million tons in FY2014/15 and 4.29 million tons in FY 2015/6, according to Statistical Information on Nepali Agriculture 2015/16 prepared by MoAD. While the ministry was expecting high growth this year, August floods and late monsoon affected production of paddy. Heavy rainfall in the second week of August damaged paddy farms in most of the Tarai districts - the rice bowl of the country. “The August floods and late monsoon affected paddy crop in Tarai districts,” Aryal added. Government officials were hopeful of recording bumper paddy harvest this year also because of improved paddy productivity. The ministry had said that paddy productivity has increased to 3.5 per hectare compared to 3.36 per hectare last year. 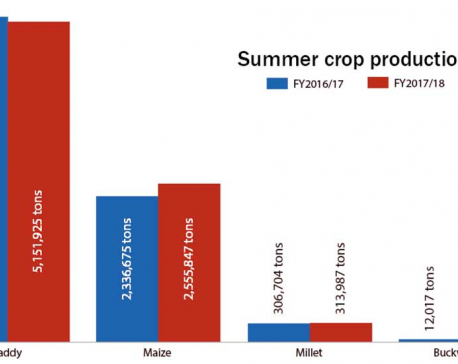 Stating that August floods and late monsoon affected paddy production this year, government officials said that they, however, hopeful of seeing rise in paddy production in the coming year.